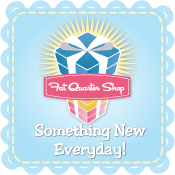 It's time again for Sew Mama Sew's giveaway day. I hope you're enjoying visiting all the different blogs and sites, there are a ton of great prizes to win! 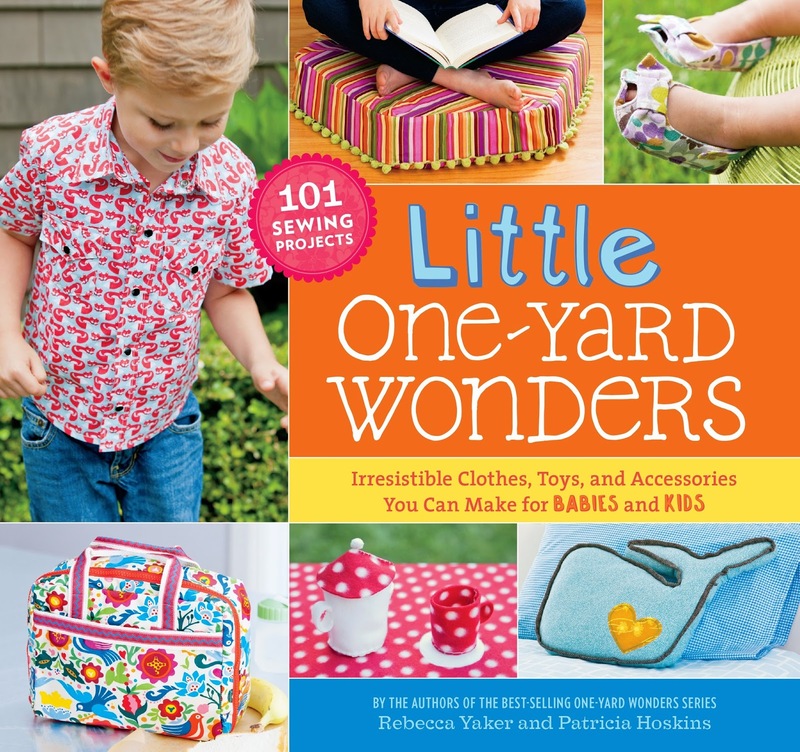 Today I have a copy of Little One Yard Wonders to giveaway to one lucky US reader, courtesy of Storey Publishing! 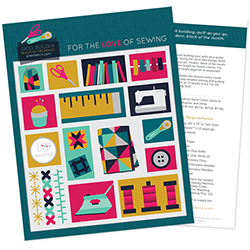 Little One-Yard Wonders is full of projects that are perfect for this time of year, when you need some last minute gifts. Grab a yard of fabric and get to work! 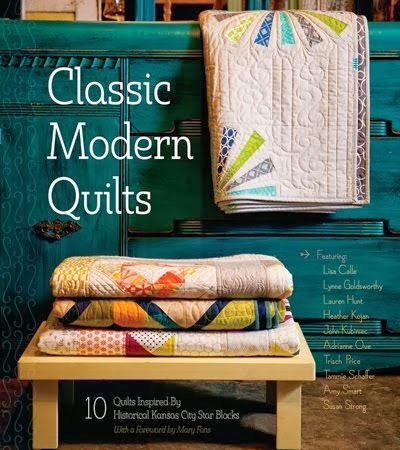 I've been browsing the book trying to decide what to make next. The whale pillow from the cover would look great in Sawyer's room. I want to make new curtains anyways, and I could stitch up a matching whale too! There are lots of patterns for stuffies and toys, clothes and bags, even a hopscotch game. The giveaway is open through Friday the 12th. US only please. I'll contact the winner for shipping information and pass that on to Storey, who will send the book directly. I'm making some small table runners & will also be baking lots of cookies for Christmas gifts. Thanks. Today I'm making capes for my nephews and niece! I'm making picnic blankets - big ones of fleece with water-resistant fabric on the underside and an attached pocket that the blanket folds into. I'm not making anything this year. Well, maybe I'll do some sort of chocolate dipped treats for co-workers. I'm sewing pj pants, knitting a slouchy hat and of course making cookies. Glad to hear that cookies count because they are on the list for sure. I am also working on a wardrobe for an american girl doll. Hi- I am making Liberty of London lavender sachets for teacher gifts! 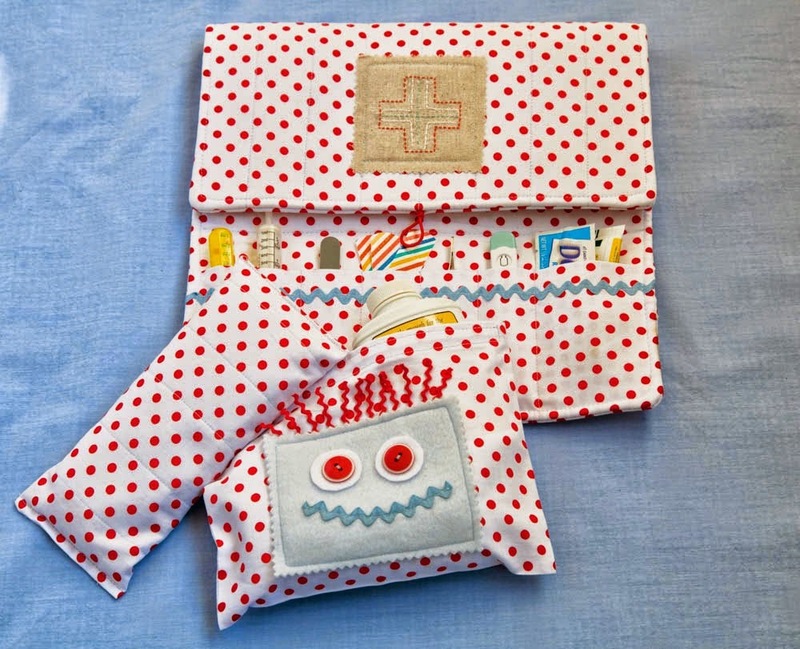 I am making Zipper Pouches! Thanks! I am making doll clothes for my nieces. 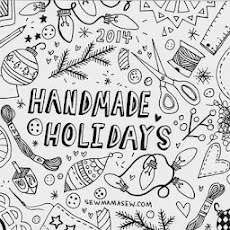 I'm making bow cozies, hats and other winter wear for the kids and COOKIES! Many cookies! Cookies! lol. Also making some sleepsacks for my cousin's brand new twin boys and a Christmas dress for my not-quite-2-year-old daughter. I'm making a table runner for a friend. Salted Caramel Bourbon Sauce! Thanks for the chance! I am sewing pjs . I am on pair five. Making a memory quilt for my mother. I'm making some Anna and Elsa dolls for my girls! Quilts, bags, and since Christmas is at my house this year lots of food! Lots of Christmas orders still ! Mixer covers and coloring wallets are the next up on the list. i'll be frying latkes for hanukkah and potato-olive torta (our family tradition) for christmas! thanks so much. hoping to get unpacked enough to sew some things as well but i've been sick and keep running out of time! happy holidays to you! thanks for the chance. A rum cake is on my list! Thanks for participating in the Giveaway Day. I will be making spritz cookies for the neighbors and new bedding for my son. I'm making pajamas for my kids! I'm making pillows and bibs! I've knit two hats and a felted bag for gifts and plan on sewing some pillow covers for myself! I'm making zipper pouches and wallets like crazy for holiday gifts. I'm making some quilted placemats for my MIL. She already HAS everything, might as well give her something pretty and useful, right? I have made potholders, and aprons and coasters. Happy holidays! Stockings! And some DIY wood projects.